When you first get arrested the Police officer informs you of why you are being arrested. You will be handcuffed, put in the back of the patrol car and after the arresting officer is finished with the calling in and report procedure he will transport you to the jail. In Las Vegas there are two jails, the Clark County Detention Center and the City of Las Vegas Jail. 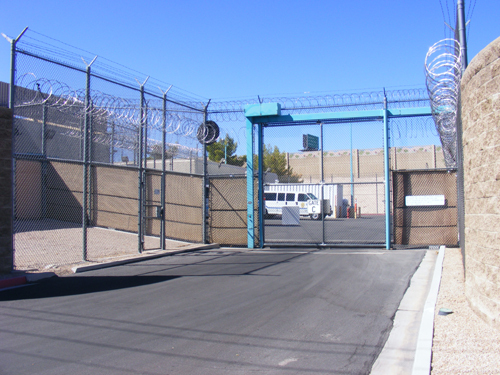 If your accused crime has been committed in the Las Vegas area you will end up in one of these two jails. Most of the time people end up in the CCDC since it is a much larger jail. 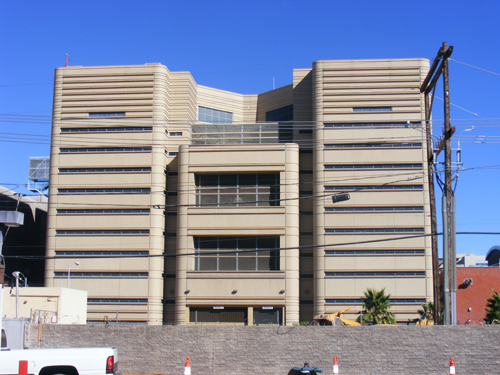 Since the closure of the North Las Vegas Jail all their inmates are now being housed at the already overburdened City Jail. The CCDC is located at 330 South Casino Center Drive right behind the Golden Nugget Casino. If you get transported here you will first be booked in. This process consists of waiting, interviewing and fingerprinting and could take up to 5 hours. Once this is completed your information, charge, bail amount and court date will be “live” at the CCDC Inmate Search Database and is searchable from any computer or mobile device. 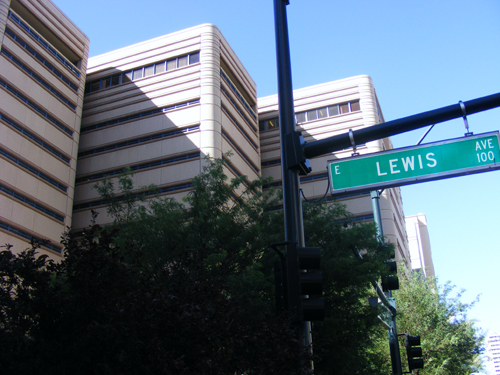 The City of Las Vegas Jail is located at 3300 Stewart, right in the corner of the 95 freeway and Pecos Road. If you get transported here the booking in process will be faster than the CCDC since it is a much smaller jail. 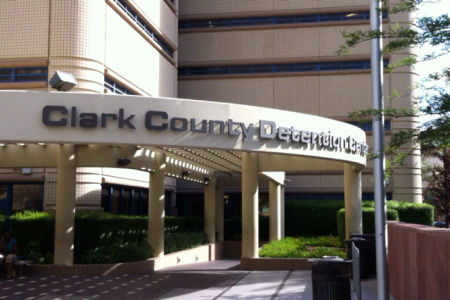 Once finished all your information will be searchable online at the Las Vegas Detention Center Inmate Search Database. Henderson is a suburb just minutes from Las Vegas. If you get arrested in Henderson you will most likely be transported and booked into Henderson Jail. This jail is very fast in booking you in, usually within 2 hours. Your information will be available and searchable online at Henderson Detention Center Inmate Search Database.